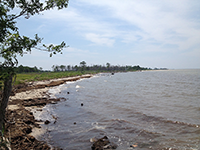 A partnership to support communities and coastal environments in the midst of change. The approach for this project had dual objectives. 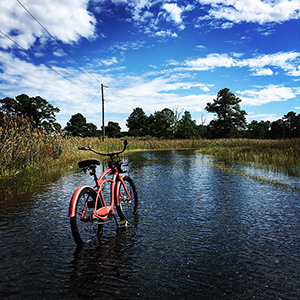 The first objective was to do a study of the extensive salt marshes on the Peninsula and determine if a specific restoration technique is appropriate to aid salt marshes in their ability to keep pace and adapt to rising sea level and subsidence that is occurring on the lower Eastern Shore. This was done through a series of monitoring activities that determine marsh health and through trying the restoration technique at 6 different locations. The second objective was to build a network of community members, local and state government staff, scientists and other community partners to merge local and regional expertise, knowledge and resources to reduce the risk of the community to flood impacts both now and into the future. To do this an Integrated Coastal Resilience Assessment was conducted to quantify what's vulnerable and why. The information collected was then used to develop strategies for how to address those vulnerabilities.